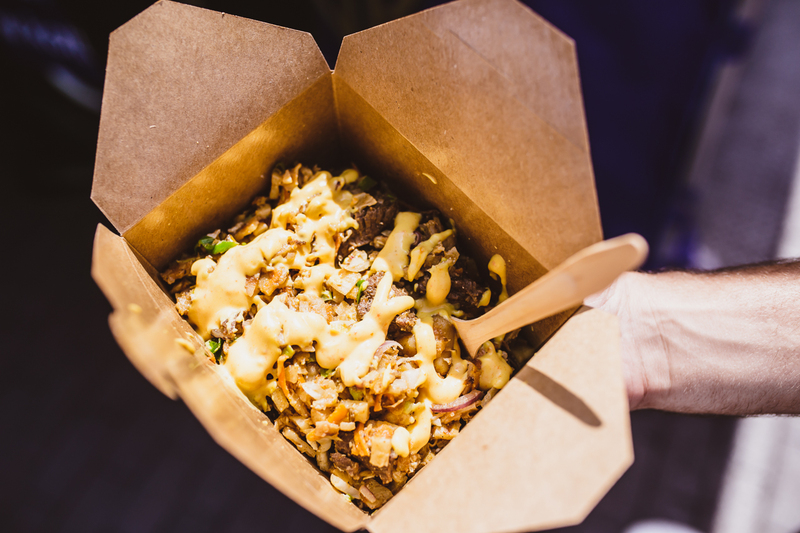 Last year we launched the inKERBator programme to help grow new street food talent and keep that flavour pulsing through our kerbs. Last week we graduated Batch No. 5, and took in a whole new clutch of traders. 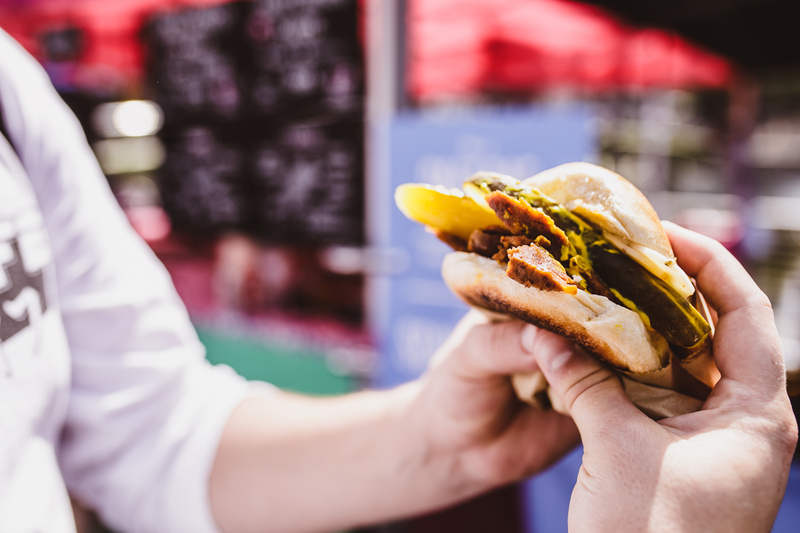 All ELEVEN newbies will be trading with us on Tuesday at West India Quay (inKERBator Tuesdays), mixed into the line up at King’s Cross on Wednesdays and Thursdays at St. Kats as well. What will they be cooking? 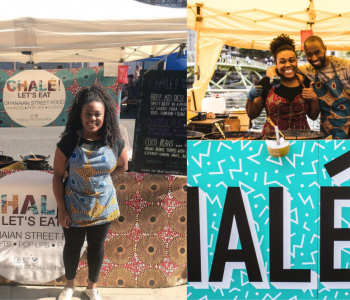 Why did they start a street food business and what were they doing before they launched them? 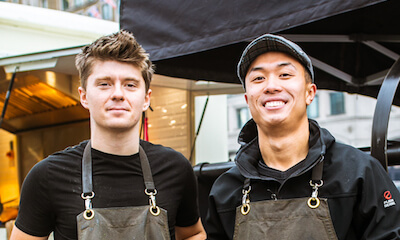 Meet the people behind the street food below. 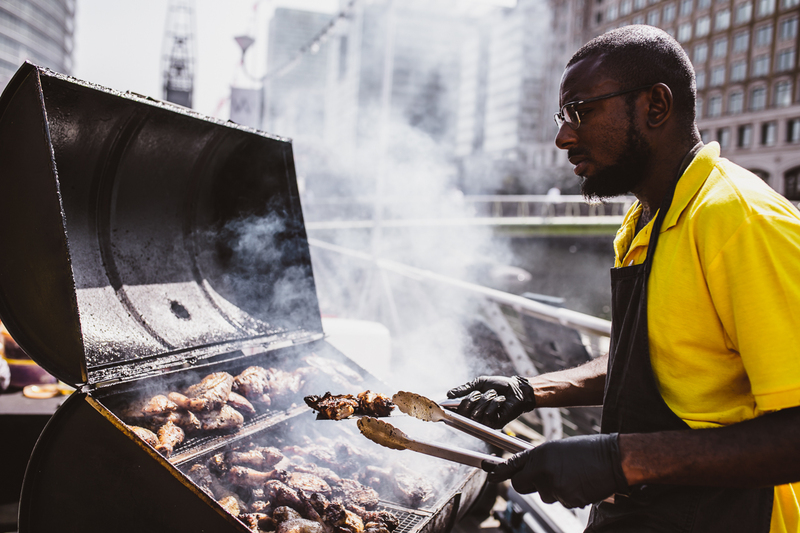 Story: Shellybelly’s was started in 2014 when I waited 90 mins in line for undercooked jerk chicken at a local festival. Jerk has been exploding in popularity for the last few years and the name has been exploited to sell everything from french fries to own-brand supermarket sauces. 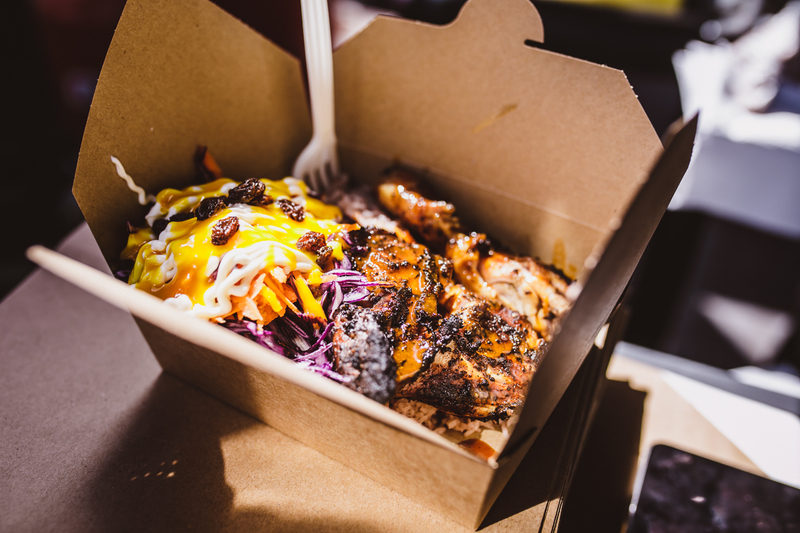 We’re on a mission to bring jerk back to its roots with a mix of wicked vibes, nuff reggae and traditional jerk drum smoke! Signature dish: The Jerk! 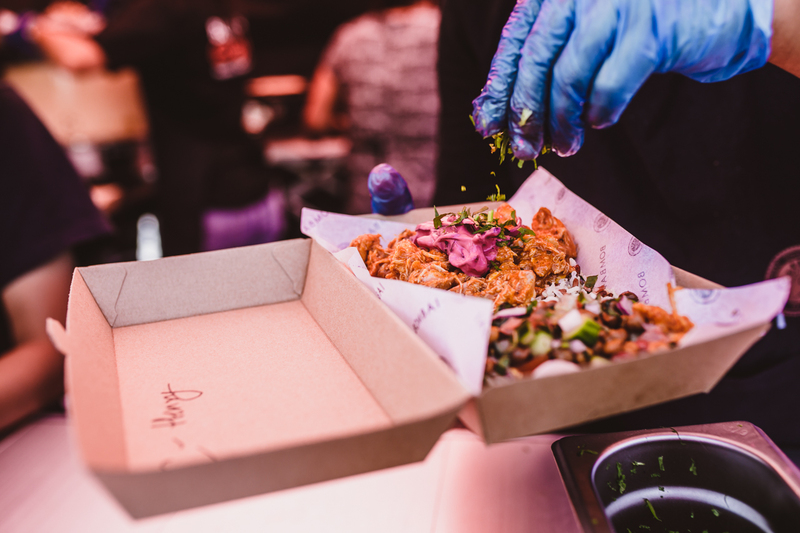 Our 48-hour pimento and scallion marinated chicken, smoked to perfection in a traditional jerk drum served with rice and peas and tropical coleslaw. Vision: We want as many people as possible to experience real jerk, so we’re going wherever the drum smoke takes us! Story: Being vegan for awhile it was difficult to get a good vegan pizza and especially a good vegan pizza that had cheese. I grew up loving Margherita pizza’s and really struggled not being able to indulge in my love for them. 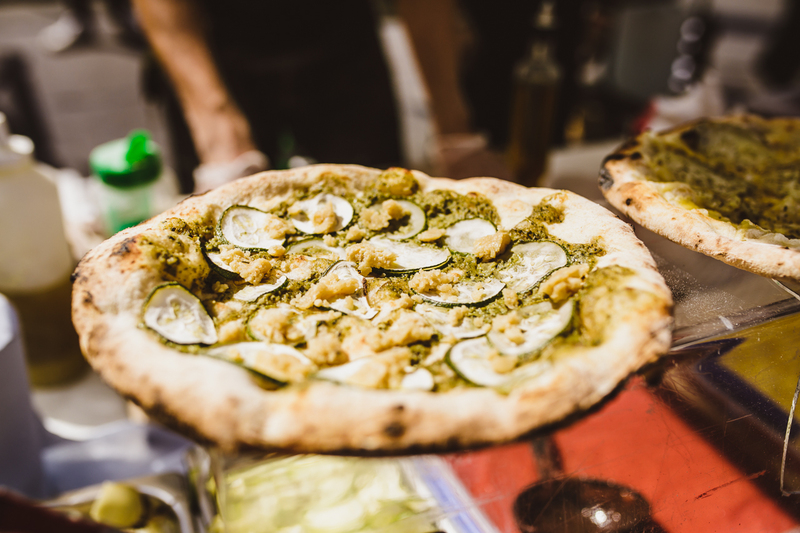 I figured so many people missed pizza and at the time there wasn’t any vegan pizzerias in London. 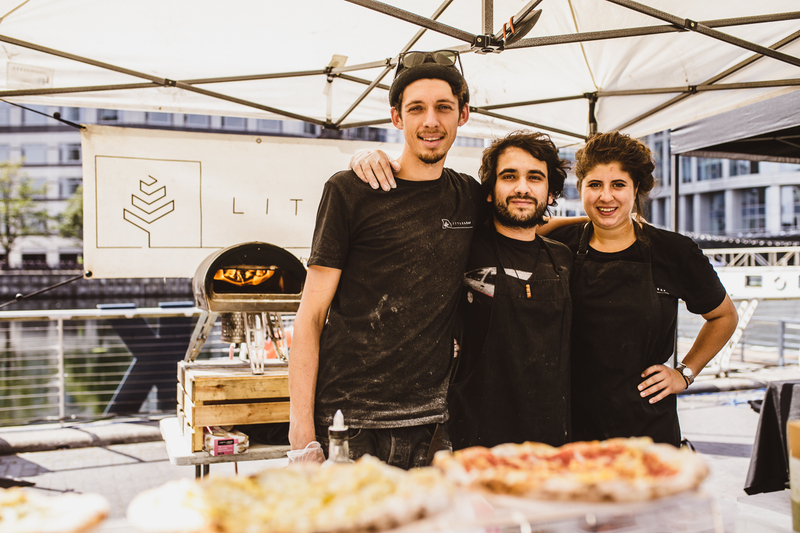 We started off as a vegan Instagram page showcasing our ability to cook and the ease of being vegan, from that sprung our desire to start selling what we could do and with Isotta being Italian and her love for Italian flavours pizza was the perfect choice of street food for us. Signature dish: The Red Pizza – our best seller. A blend of 3 vegan cheeses, Italian tomato sauce, oregano and extra virgin olive oil. 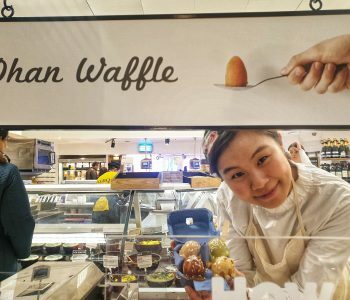 Vision: To establish a good reliable team and work towards opening a food truck followed by a permanent brick and mortar. Story: MEXIKINGS brings a passion to share some seriously delicious little known gems of authentic Mexican food. Sharing in the delights of the comforting steamy wholesomeness of tamales and flautas. A love story is at the root of Mexikings’ love for the country, for the food and most of all for a handsome Mexican man. Exploring the world he grew up in, the vibrancy, colour, friendliness, and the sense of community formed a rapid addiction to a country rich in ancient history, tradition and the most deliciously addictive food. I have worked in 11 disaster affected countries, 4 of them war zones, as a humanitarian water and sanitation engineer… food is now my therapy! Signature dish: Tamale. A light corn based ‘dumpling’ steamed in a corn husk, filled with moist chicken or sweet potato, smothered in a choice of tomatillo salsa, salsa roja or molé. Served up with red rice and frijoles. Gluten free! vegan option also available. 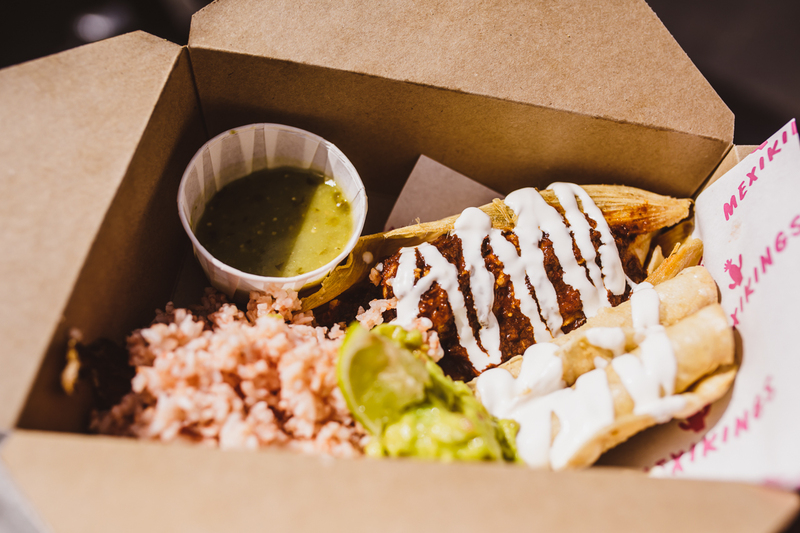 Vision: Ensure an addiction to tamales spreads across the whole of London – as it should be! Story: We serve up British, Free Range chicken wings tossed in one of our small batch, homemade sauces. 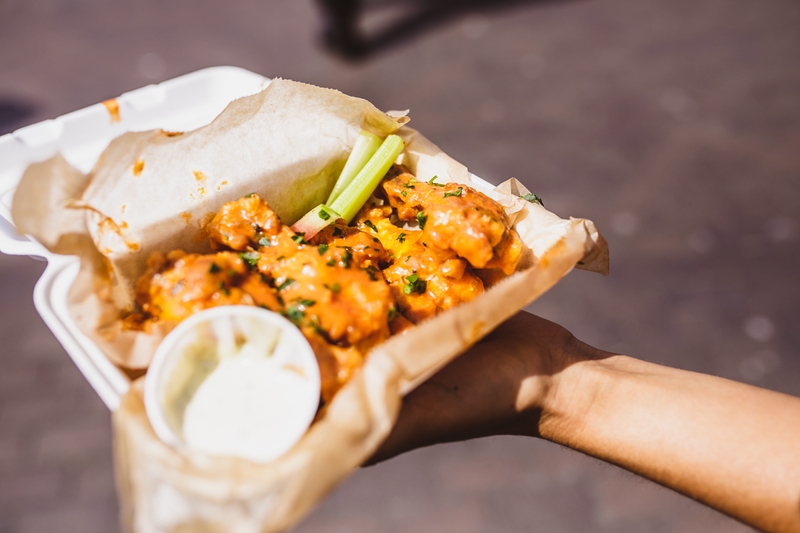 We’ve have had a lifelong obsession with Buffalo wings thanks to our American heritage, and visits to the states to see family meant visits to wing shacks and BBQ joints, enjoying the community spirit of it all. When I was a teenager me and my old man embarked on a wing pilgrimage to New York, trying as many different wing spots as possible and ending in Buffalo where they were famously invented. By the end of the trip, we knew we had to get into the wing game. 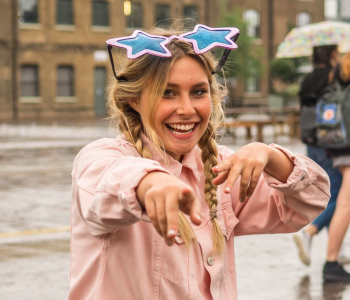 Since then we’ve been perfecting the recipes and have now started to sauce up the streets of London! Signature dish: The best god dang Buffalo wings in town! Vision: Every Londoner has to try at least one of our sauces! The chicken wing is the canvas. Signature dish: The salt ‘beef’ (seitan) with pepperjack vegan cheese, pickle and mustard. 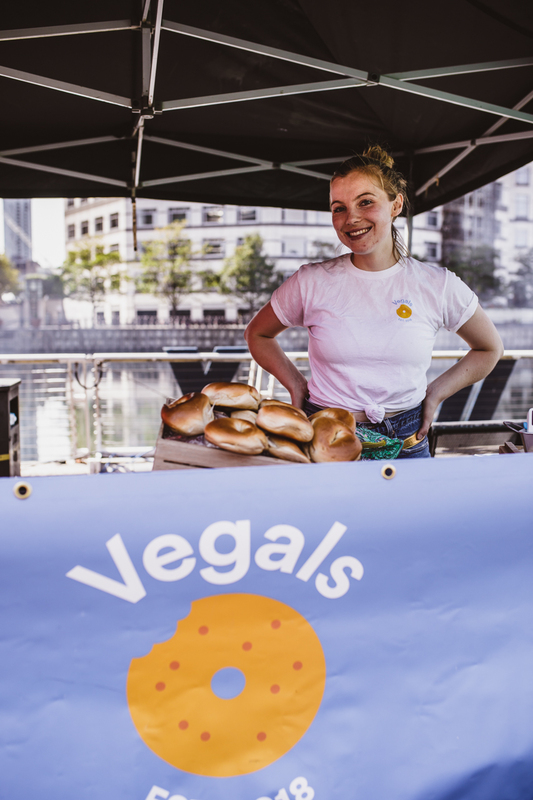 Vision: 2018 is all about establishing Vegals as London’s first all-vegan bagel deli. We are catering to parties, events and office lunches at the moment and will be running Bottomless Bagel Brunches and Bagels & Beers events very soon. 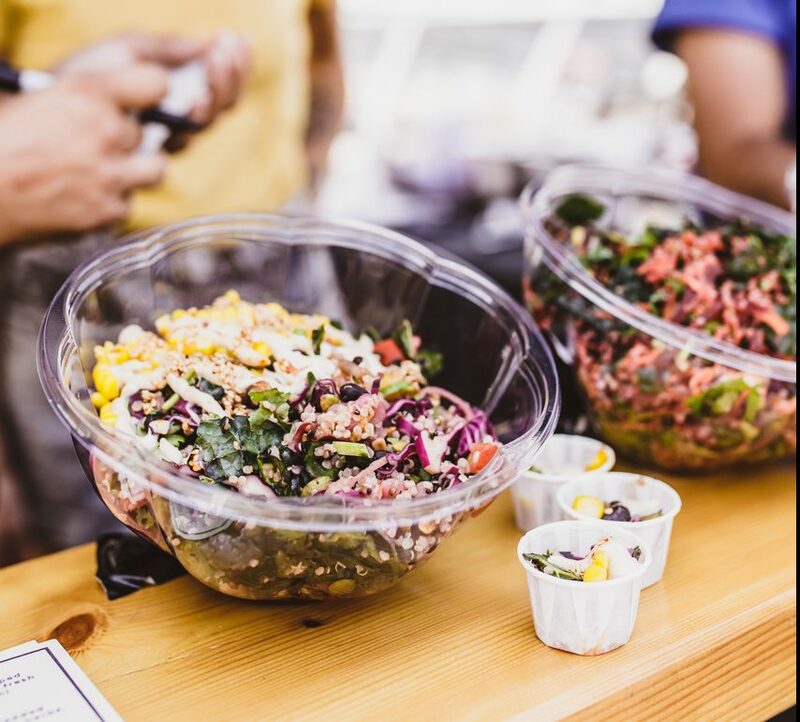 Story: We serves fresh, well sourced salads & bowls. 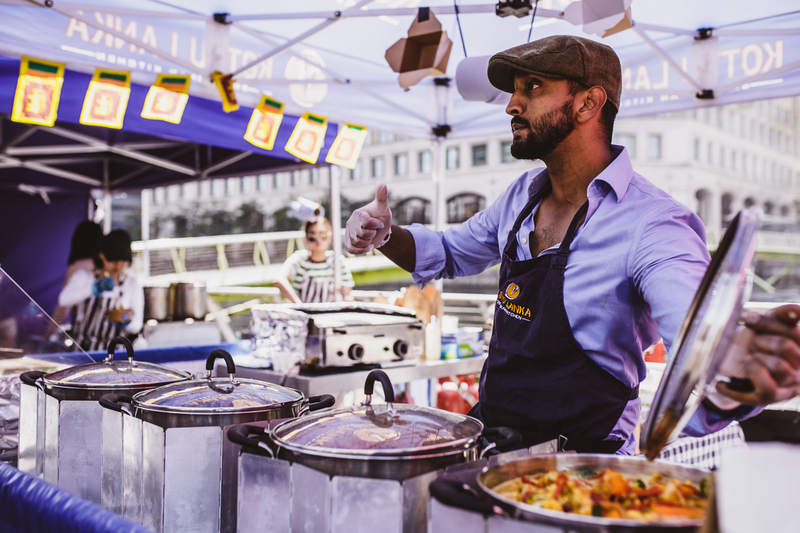 The menu was created as a result of Kali’s love of fresh, vibrant flavours and veg led food. Each bowl is inspired by their travels, made by playing around, making healthy food fun. Signature dish: We don’t have a signature dish but our summer special – the Elote Bowl is very popular and is very classic of Palm Greens & Kali’s cooking style. Vision: (And mission!) is provide, fast food that fits with the city’s pace, without skimping on quality, ethics, taste and fun. 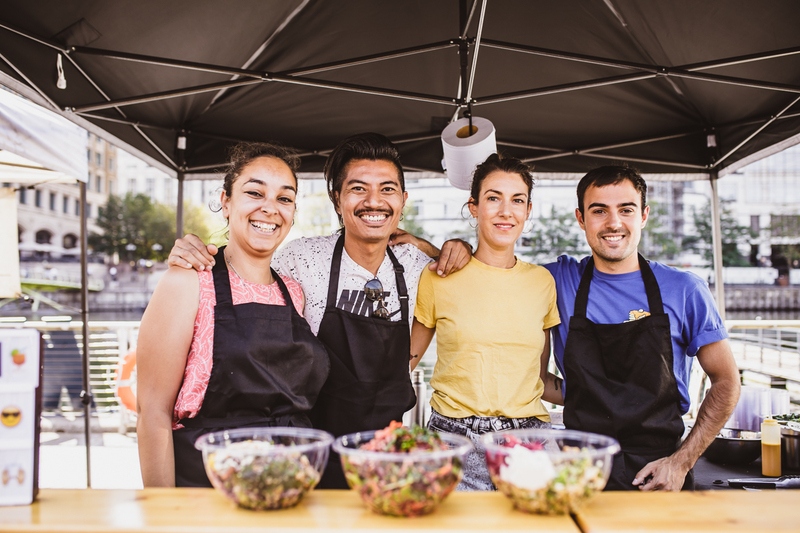 To be cruelty free, make delicious, fresh, healthy food that benefits the mind and body, while keeping connections with our community and our planet. 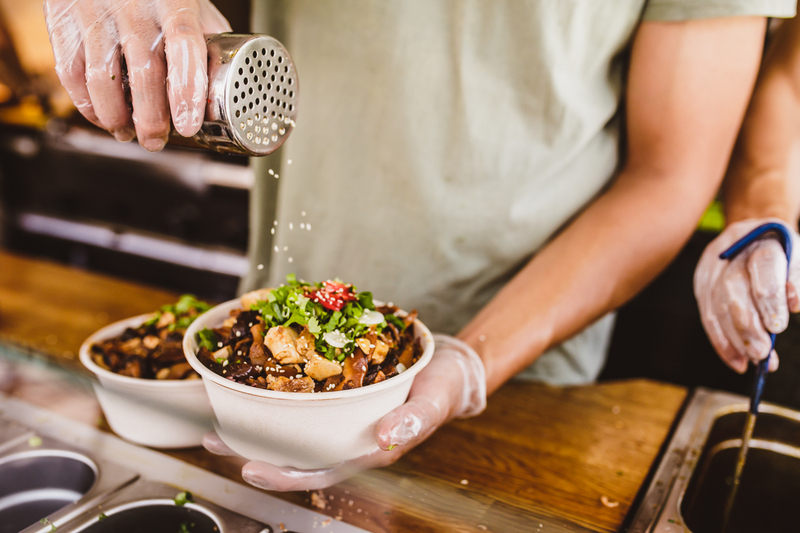 Story: Three certified chartered accountants who took the leap over to start this street food business. 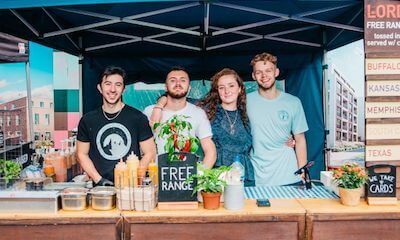 “We felt like it was time to start doing something we have a passion for and are all passionate about food and love cooking. 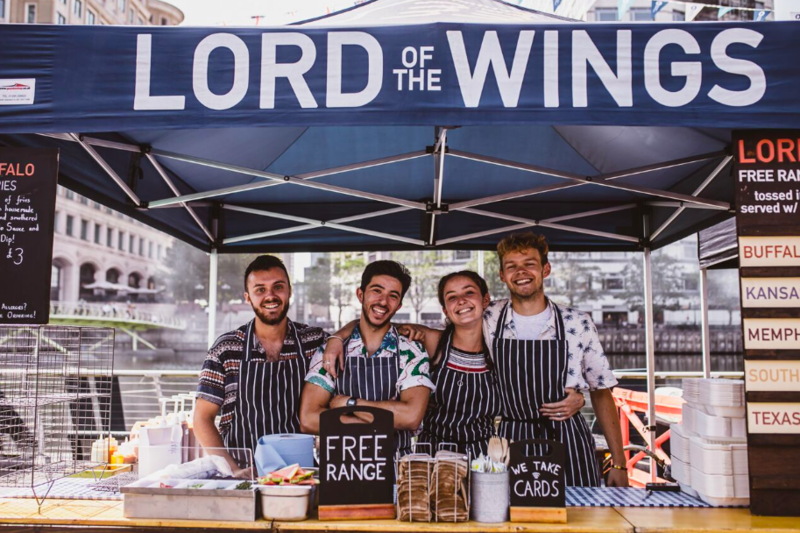 Street food is a great place to start getting our food out there and allows a more approachable environment for our customers to get to know us as well”. 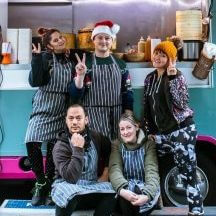 Bringing together some of Asia’s most popular street food dishes drawing on Kea, Vanessa and Andrew’s mixed Chinese, Malaysian, Singaporean and and South East Asian heritage with a menu using mariandes made from scratch, all completely preservative free. Signature dish: Smoky Barbecue Pork marinated for at 24 hours and then slow roasted on purple rice. 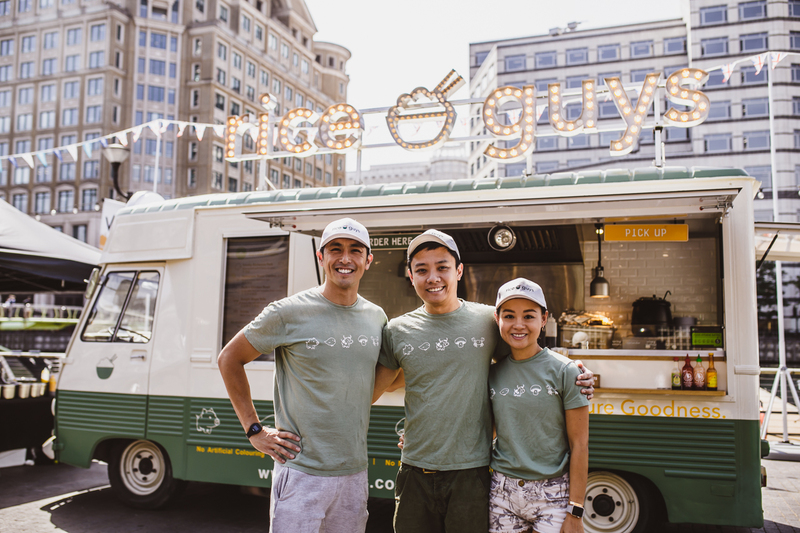 Vision: To expand Rice Guys – another truck, some retail spots as well. Story: We serve and authentic Sri Lankan street food dish called kottu roti, which is a mixture of fresh veg fried in coconut oil (carrot, red onion, cabbage, leeks), eggs, shredded roti and finally a curry. Kottu is a traditional dish but the flavours of my curries were inspired by the different type of cooking from various regions and villages in Sri Lanka. Signature dish: the fiery red seafood most definitely however it takes a brave soldier to take the heat. 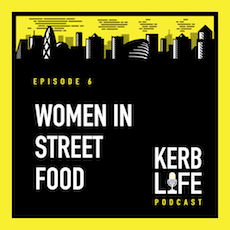 Vision: My next steps would be to expand our kitchen set up and potentially move that aspect of the business into a professional rented kitchen with more staff to supply the markets business. 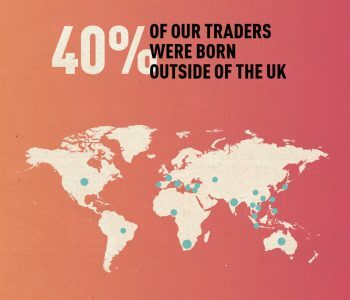 But first we need to build a strong, long term presence in the KERB markets before we even consider this. 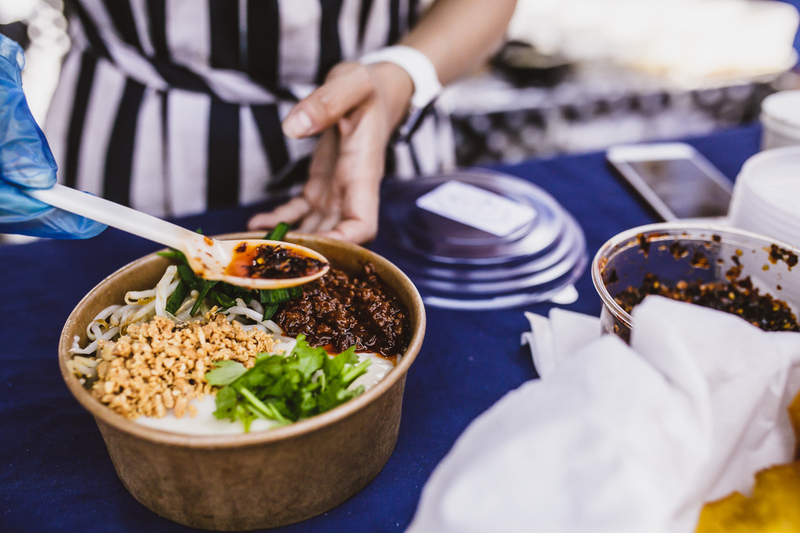 Story: The first and ONLY traders to bring authentic Yunnan (SW Chinese) cuisine to London’s streets. 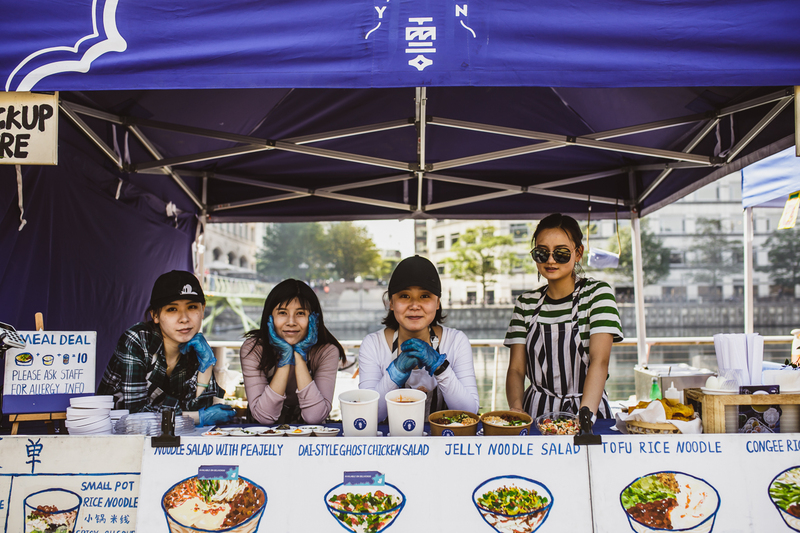 Their stall is beautiful, with the menu hand-painted by co-founder Yao on the right there. 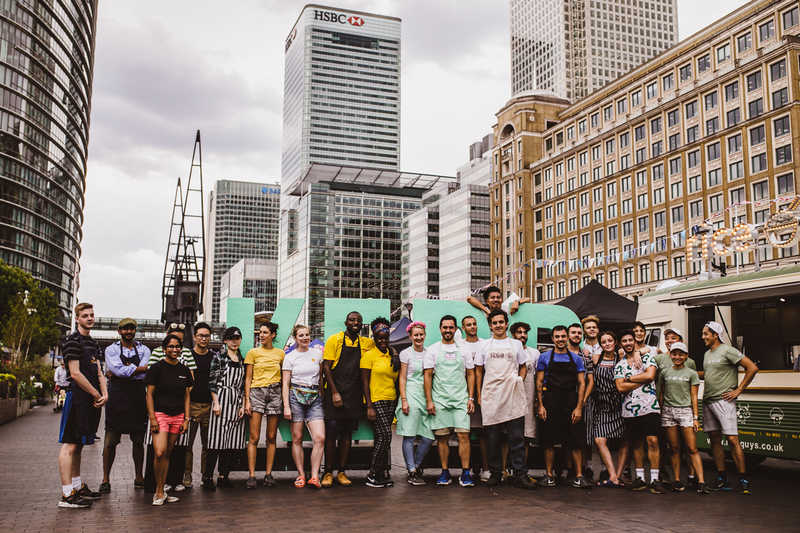 They came to our KERB Workshop in May, and have a big manufacturing / Deliveroo biz. 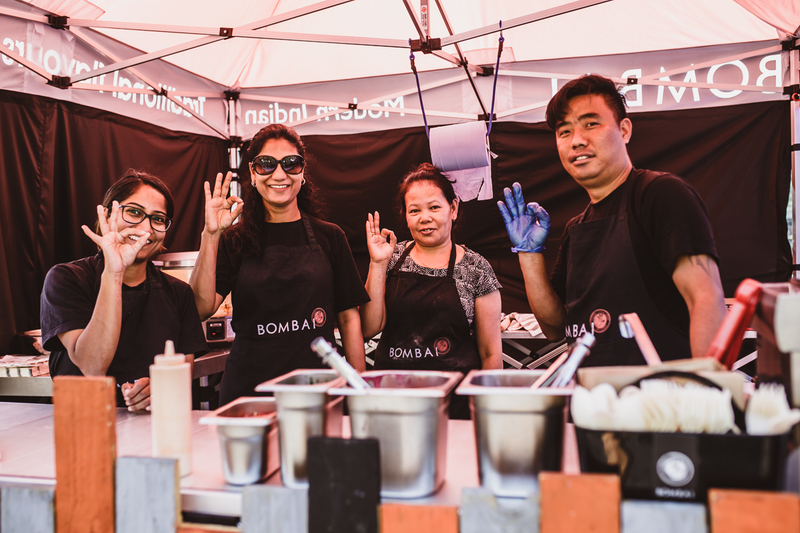 Story: Shweta left the corporate marketing world behind to set up Bombai earlier this year and trading with us was her first time EVER to hit the streets! 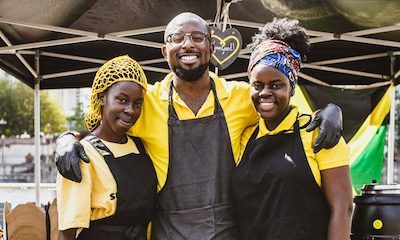 Bombai is bringing healthy, tasty, homemade authentic Bombai food to London’s streets. 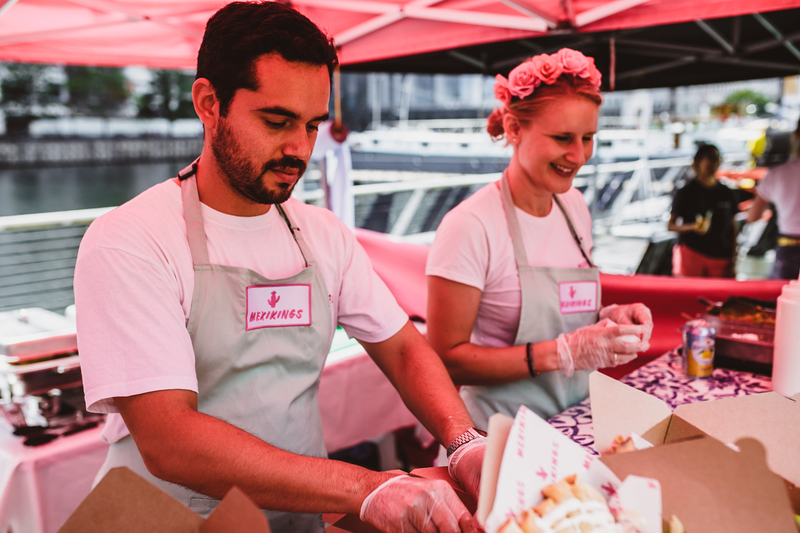 Trading every Tuesday / 11.30-2pm / KERB West India Quay for inKERBator Tuesdays. 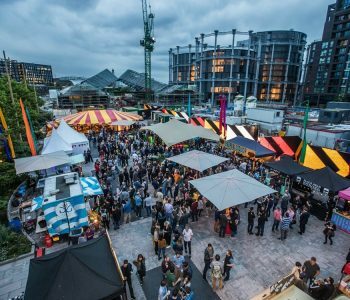 Industry Street food is open for business! 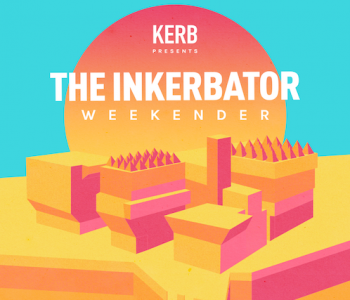 News KERB BAR ARE HIRING!